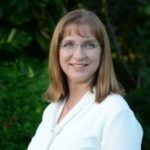 Elizabeth Decker is the Director, IT Enables Services at Cross Country Healthcare Inc., the SIM Women Champion and the Partnership Chair of the SIM South Florida Chapter. Ms. Decker has 20+ years of experience developing and implementing software solutions across a variety of industries. In many cases, learning the business and software while doing the implementation. Ms. Decker primarily works on digital optimization projects that leverage her business understanding and technical expertise to create business value through technology. She is also the US head of Cross Country Healthcare’s business process outsourcing department in India. In this role, Elizabeth manages the day-to-day operations, transitions work to the offshore team and implements process improvements using technology.